32 years ago tonight, on Saturday, December 9, 1978, the sit-com “Rhoda” aired the final episode of its primetime, network run. “The Mary Tyler Moore Show” spun off 3 shows in the 1970s: “Lou Grant,” “Phyllis,” and of course, “Rhoda,” all on CBS. Autographed photo of Valerie Harper sent to fans of “Rhoda” in 1975. As portrayed by Valerie Harper, the character of Rhoda Morgenstern became a fan favorite on “The Mary Tyler Moore Show,” so it was no surprise when producers gave the character her own series. The 1970s were, after all, a decade of spin-offs. Cast photo sent to fans of “Rhoda” in 1975. Rhoda explains, “I was born in New York… in December… 1941.” Then concedes she always felt responsible for World War II. How great is that line as a way to reveal something about the character? Although most people tuning in would have known Rhoda from “The Mary Tyler Moore Show” this was a terrific way to introduce new viewers to the kind of misplaced guilt felt by Miss Rhoda Morgenstern. The envelope that contained the photos shown above is postmarked November 26, 1975. 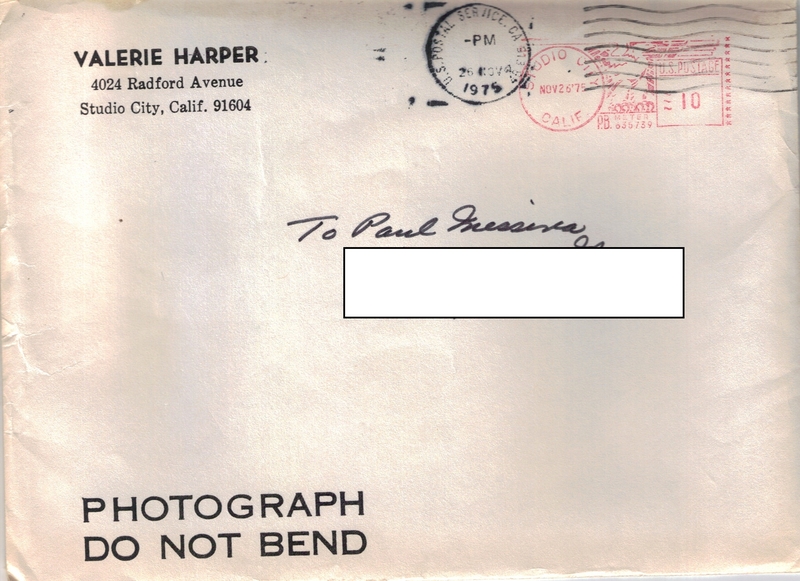 Don’t you love how they put Valerie Harper’s name above the studio address on the envelope? It’s as if they want to make it look like she sent it from home. 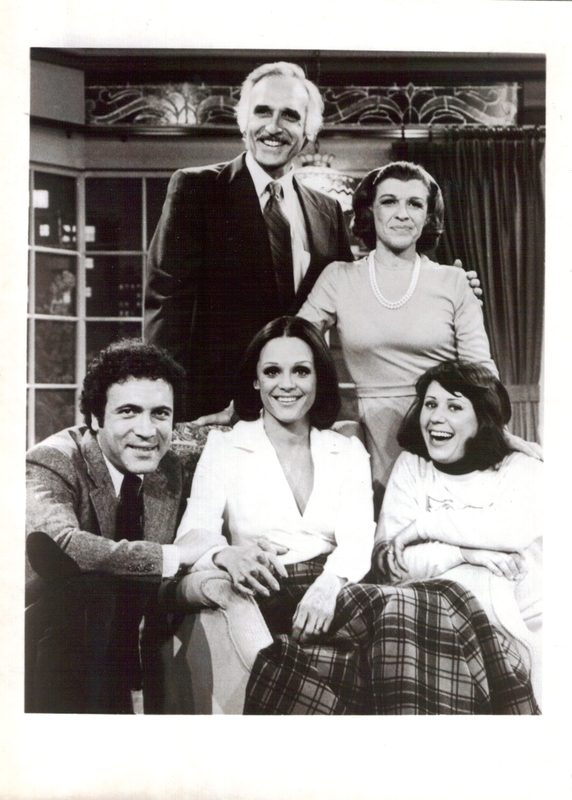 “Rhoda” ran on CBS for four seasons. It premiered in September 1974 on Monday nights at 9:30pm (ET) and remained on Mondays until January 1977. It moved to Sunday nights before ending its run with a 3 month stay on Saturdays.